The grid for the Advance Auto Parts Sportscar Showdown is taking shape, and there's no better time to get acquainted with all the incredible machines you'll see tearing up COTA May 5-6. The Prototype (P) class features the fastest and most technologically advanced cars in North America. The mix of Daytona Prototype international (DPi) and LM P2 cars featured in this class are specifically designed and engineered for the race track. While unique in appearance, the technology being developed in the Prototype category is relevant and directly tied to manufacturers’ R&D initiatives. The Prototype Challenge (PC) class is a spec class featuring open-cockpit race cars and technology such as a carbon fiber chassis, carbon ceramic brakes and a sequential gearbox. The PC class will complete its final season of WeatherTech Championship competition in 2017. The GT Daytona cars are enhanced by technology and utilize the global FIA GT3 technical specifications. The GTD class consists of cars from leading manufacturers such as Acura, Aston Martin Audi, BMW, Ferrari, Lamborghini, Lexus, Mercedes and Porsche. The Continental Tire SportsCar Challenge features sports cars from manufacturers across the globe competing in a low-cost environment. The two classes contending simultaneously on track in the Continental Tire Challenge are Grand Sport (GS) and Street Tuner (ST). Driver line ups feature a mix of Pro and Pro-Am driver pairings. Beginning in 2017, the series’ top class, Grand Sport (GS), will feature cars that follow the global SRO GT4 technical specifications alongside select “grandfathered” vehicles following the 2016 “production conversion” formula. The ST class cars remain the stock, production model cars that race with only minor modifications. This class is also limited to four and six cylinder engines. 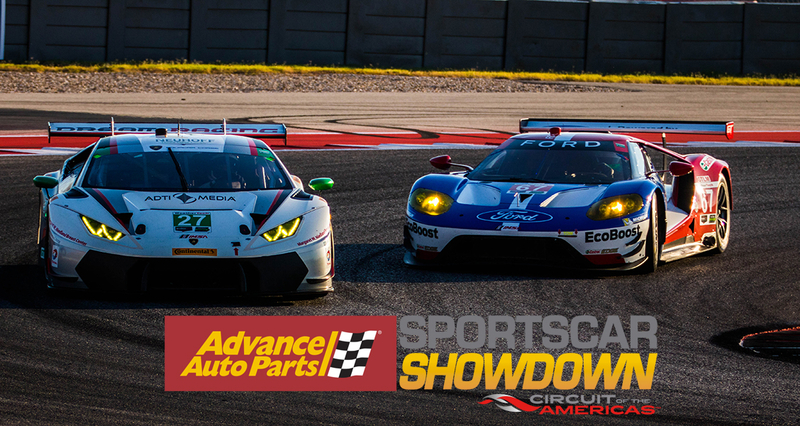 Tickets for the Advance Auto Parts Sportscar Showdown are on sale now from as low as $49. Kids 12 and under receive free admission.